Our facilities provides an intimate chapel, two banqueting halls for guests between 70 to 250 without compromising on space. Let our Events co-ordinator create your ideal wedding by bringing quality and personal attention to the planning of your special day. Although our wedding packages comes with a wide variety of options, our events co-ordinator will work with you to ensure that your wedding runs smoothly. The warm and inviting atmosphere, created through stylish décor and furnishings ensure that you and your guests will relax and enjoy this special day. Escape for the city to the tranquil setting of Diep in die Berg. We can accommodate up to 250 guests banqueting style. From themed parties to formal black-tie events, your function can be arranged by our professional events co-ordinator. We have established a reputation for quality and we look forward to showing you that it is well deserved. 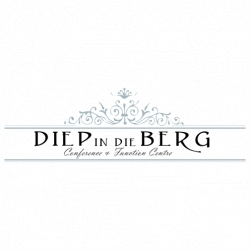 Diep in die Berg is the ideal facility for your out-of-the-office conference and training requirements or special corporate function. We can make your company’s corporate event both professional and enjoyable by providing a level of service to match your meeting needs. No two events are ever the same and flexibility is the key to successful conferencing. Our all-purpose conference centre consists of 8 conference rooms which can accommodate up to 450 delegates with a number of smaller conference rooms. 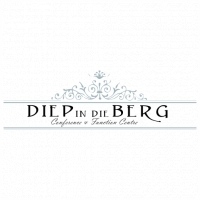 Elegant surroundings, secure parking and ample facilities are all reasons why companies prefer to host their events at Diep in die Berg.